A&F makes some of the cutest clothes and they ALWAYS have my size, material is always great quality (my favorites are the denim jeans! almost all my skinny jeans are from A&F). I love the Lace Cropped Top! Super-soft, form-fitting, the sheer neckline is so feminine and the cropped length is just perfect for spring and summer! 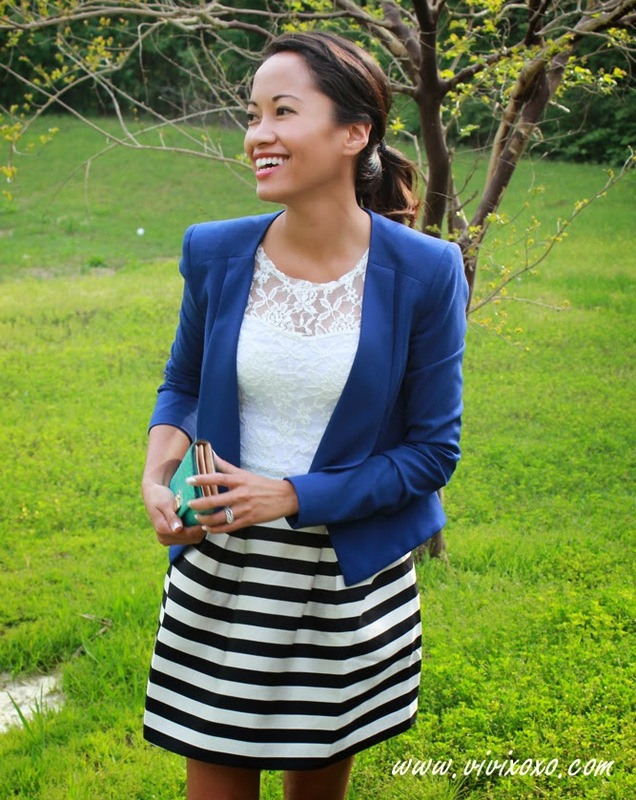 The Striped Skirt is a staple in my wardrobe this season! I have been looking for different prints (floral and striped) for spring and summer outfits! I came across to this H&M striped skirt (online) and it was only $23.00. I love the quality and material and i can dress it up with other cute tops or any form fitting top!